The Lake Isle serves up deliciously creative cuisine in luxurious yet welcoming surroundings. 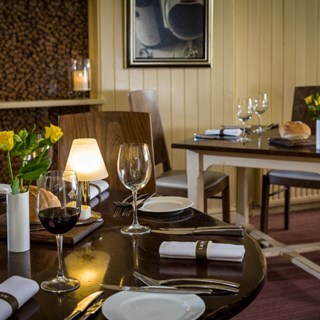 Whether you’re here for a fine dining experience, a dinner party, or a light lunch, you’ll enjoy a warm welcome, attentive service and fine food – all served with a smile in our award-winning restaurant. Great food, beautifully presented with friendly and attentive service. Only 4 stars Value for Money - I thought prices were 10 - 15 % too high. There was only one Member of Staff handling all the front of house functions. You had at least 20 Customers. sitting down to eat plus other front desk enquiries. I think Ricky did a wonderful job keeping all the customers happy and all the balls in the air. However I do think that he should have had one other member of staff to help out. The warm loaf at the beginning of the meal is a lovely touch - and delicious! Perfection as always, my desert was beautiful to look at and wonderful to eat. Relaxed dining, quality food and excellent value for money. Extensive wine list with good choice of half bottles. Both food and rooms were excellent. Welcome and service from the team was exceptional. All the staff were superb - friendly and knowledgeable. Serving staff should know what the fussy terms used to describe the desserts mean. We certainly didn’t. Food and service impeccable as always. The mussels were a huge favourite from the starters, the best I’ve had...ever! Mains and puds also fabulous, just can’t stop thinking about those muscles and that amazing sauce! Super food and service, especially considering it was Mothering Sunday! Excellent meal and staff very helpful, courteous and nothing too much trouble. Certainly will visit again.. 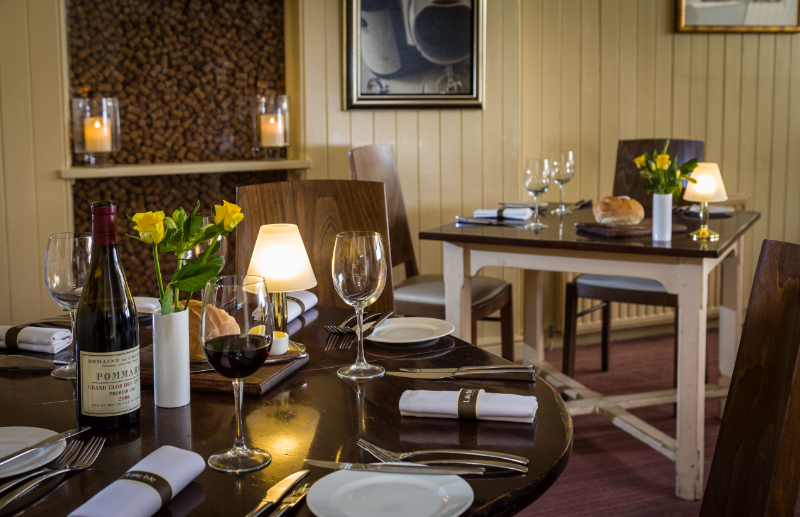 Wonderful food, friendly, attentive and extremely efficient staff in lovely surroundings. Perfect Mother's Day lunch. Once again our dance class has had an enjoyable lunch, we had the dining area to ourselves and this create a lovely atmosphere. The service was first class and added to our enjoyment. We stayed in one of the cottages which was spotless and we have no complaints although we would have liked a bottle of water alongside the coffee/tea. Dinner and breakfast were excellent. It was a very quiet Saturday lunchtime, so the atmosphere was somewhat subdued. We had a very pleasant lunch at Lake Isle. The food was very good and the service was superb.